Three of last year’s top-five corps continue their summer tours while three others will begin their own at the East Coast Classic in Foxboro, Massachusetts on Thursday evening. 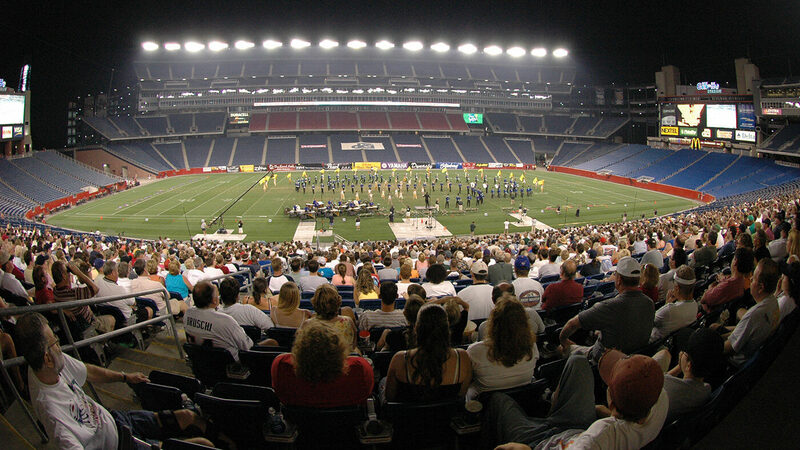 The DCI Tour returns to Gillette Stadium for the first time since the World Championship Finals in 2005. The event, which will help celebrate the Boston Crusaders' 75th anniversary, will be webcast on the DCI Live! streaming video platform. The broadcast begins at 6 p.m. ET, with the first corps stepping off at 6:38 p.m. PLEASE NOTE: This DCI Live! webcast will be available for viewing exclusively on desktop computers. Mobile streaming will be available in the coming weeks with the anticipated launch of brand new custom mobile apps designed for the iPhone, Android phone and iPad. The webcast can be accessed as part of a season-long subscription package or pay-per-view. If you were told a West Coast corps would be the first to break 80, you wouldn’t be faulted for thinking it would be the perennial heavyweight Blue Devils. But instead, it was Santa Clara Vanguard who reached the mark first, last night in Olathe, Kansas. Vanguard is continuing its Midwest tour tonight, but three other corps--Blue Devils, the Cadets, and Carolina Crown--could all reach that mark tonight in Foxboro. All three have already come within a point of breaking 80. This is also the first time this season the Blue Devils will compete against corps from the East Coast. The California corps wrapped up its West Coast tour on Sunday and spent the first half of the week travelling across the country to Massachusetts. Fans should watch to see how the Blue Devils’ score stacks up against the current top corps in the east, the Cadets, in these two corps' first matchup of the year. Three other corps also continue their tours Thursday evening in Foxboro. The Boston Crusaders, Crossmen and Troopers have all shuffled positions over the past two weeks. Boston may be the favorite to top the other two on the corps' home turf in Foxboro, but how those three finish tonight is anyone’s guess. Who will win the first clash of the West and the East? Find out tonight in Foxboro, Massachusetts, or from the comfort of home on DCI Live!